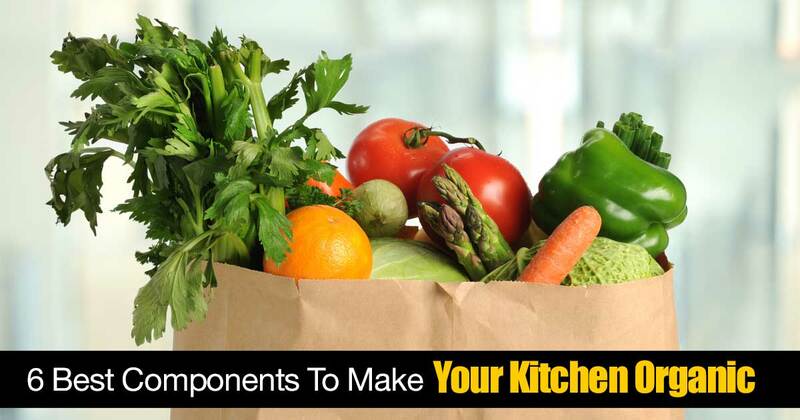 If you have decided to go organic, you may not know where to begin when it comes to setting up your kitchen. You can surely find lots of trendy items on the market today to tempt cooks and chefs of all stripes. Be that as it may, there are certain items that are both handy and necessary to efficient and successful preparation of healthy, delicious organic foods. In this article, we will introduce six essential, tools that your organic kitchen cannot do without! Read on to learn more. Using bottled water can is unwise and economically unsound. Bottled water is far less subject to regulation than water from your local public utility. Side-by-side comparison tests of the quality of bottled water versus municipal water very often prove that bottled water is lower in quality than municipal water. Water that has been treated by your local municipality is safe to drink and should be free from viruses, bacteria and other organic contaminants. A good filtration system will filter out chemicals and heavy metals. Aside from quality issues, and the production of bottled water results in tremendous environmental degradation due to the production and the disposal of plastic bottles. All in all, you are far better off filtering your local tap water than purchasing bottled water. To this end, you may want to install a whole house filtration system or put a filter in your kitchen sink faucet to filter your water for cooking and drinking. 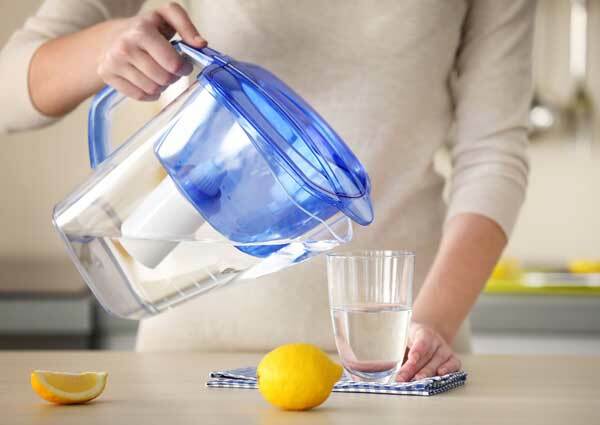 Another extremely economical and convenient alternative is to simply purchase a water filtration pitcher (e.g. Britta or Pur) to filter water for drinking and cooking. You want good water to fuel your body and food! 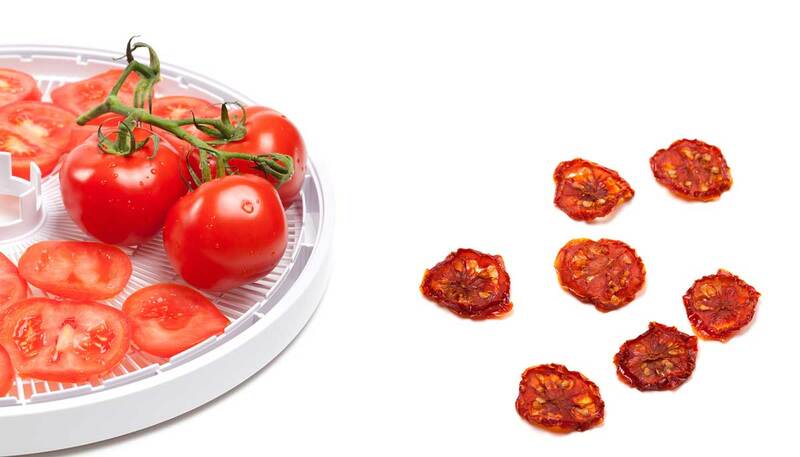 A high quality dehydrator can help you save lots of money on fresh fruits and veggies in season. You can buy in bulk and use your dehydrator to dry produce for later use. When you do this, you can take advantage of great sales in the spring and summer and have tasty, homemade dehydrated apple chips, strawberries, carrot chips and more to enjoy throughout the year. If your family eats organic meats, you can purchase grass fed meats in bulk, slice them up and create your own homemade jerky. While there are many very low cost dehydrators on the market, you are sure to find that these are not really adequate to the task of a serious organic cook. Your dehydrator is a substantial investment that can save you a great deal of money in the long run. That’s why you would do well to seek out the best quality of products from a proven company such as Excalibur. Many people underestimate the value of having a good food processor. It is common to think that for chopping and slicing you can simply use a knife. While this is true, the fact is a food processor can save you lots of time and provide you with more uniform results. A high quality food processor can make chopping up veggies for soups and/or salads a quick, easy and safe task. You can also slice up cabbage to make sauerkraut to steam very quickly and easily. A good food processor is also excellent for slicing veggies and fruits to be dehydrated. 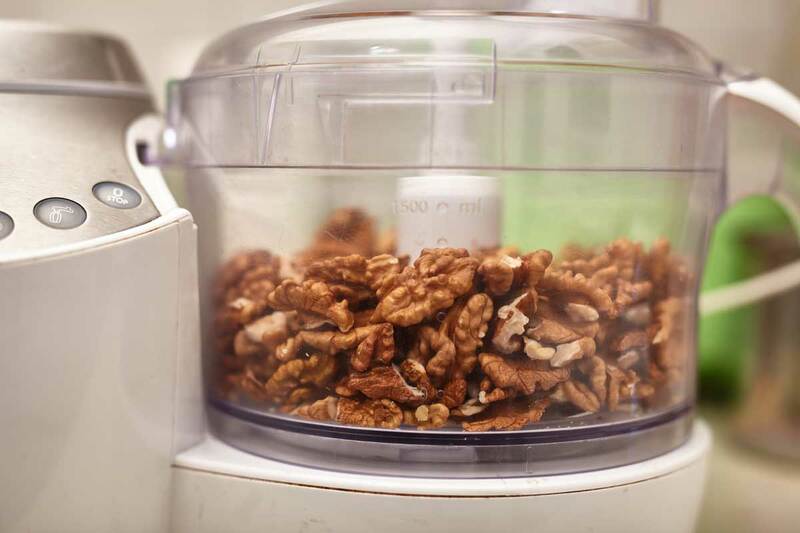 Whenever you need a small amount of freshly chopped or ground herbs, spices, nuts, whole grain flour, tea, etc., you can just toss a handful of raw ingredients into your coffee grinder for quick results. 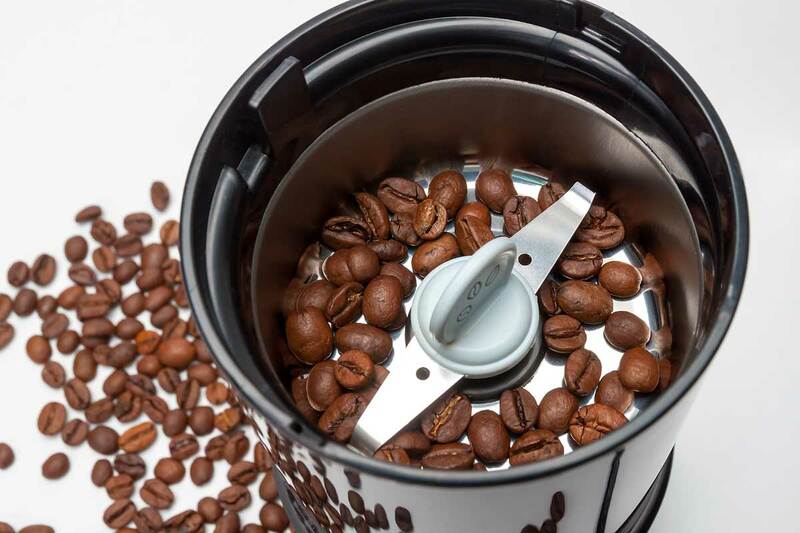 You are sure to find that it’s much easier to clean up your coffee grinder than your blender. Both juicing and blending of fresh fruits and vegetables can help you dramatically increase your intake of healthy organic produce. Juiced and blended fruits and veggies makes more nutrients bioavailable to your body. Taking in large amounts of fruits and veggies in a single glass can help curb your appetite and reduce sugar cravings. All of this adds up to a healthier and more nutritious diet. A good blender is essential in your organic kitchen because it can be used to create a wide variety of healthy dishes ranging from smoothies to sauces to soups and more. It’s great for chopping fruits and veggies finely, and you can also use a good blender for whole food juicing. This differs from using a juicer because with a blender you use the entire fruit or vegetable and retain the benefit of the fiber it contains. Vitamix is a well-known and well-established company that makes one of the best blenders on the market today. You may also wish to have an immersion blender, which you use like a mixer. It’s great for puréeing soup in the pot. You can also use it to mix up batter, mash potatoes and create other dishes in the pot or bowl rather than placing the ingredients in the blender. A juicer represents a fairly hefty investment, and it is actually not an absolute necessity. 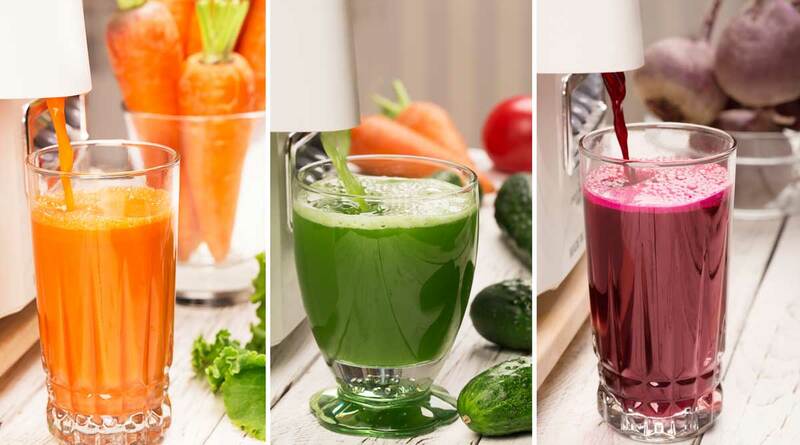 Although juicing is all the rage these days, a juicer can be viewed as a semi-optional item that you may want to leave for last if your budget is tight. When looking for a juicer, you should keep the needs of your household in mind. For example, if you are on your own or just have a small household you will not need a large, industrial-sized juicer. Look for a smaller and more economical model to take advantage of lower price and easier cleanup. Both are good! The difference between juicing and blending is that juicing provides very concentrated nutrition but no fiber. When you juice fruits and veggies you remove the fiber. Additionally, juicing results in a very concentrated amount of sugar, which can cause blood sugar level spikes. For this reason it’s better to juice veggies than fruit because vegetables contain less fructose. Whole food juicing (blending) provides an increased amount of nutrients; although. not quite as dramatically as extractive juicing. It also provides healthy fiber and helps to stabilize your blood sugar levels as opposed to causing them to spike. 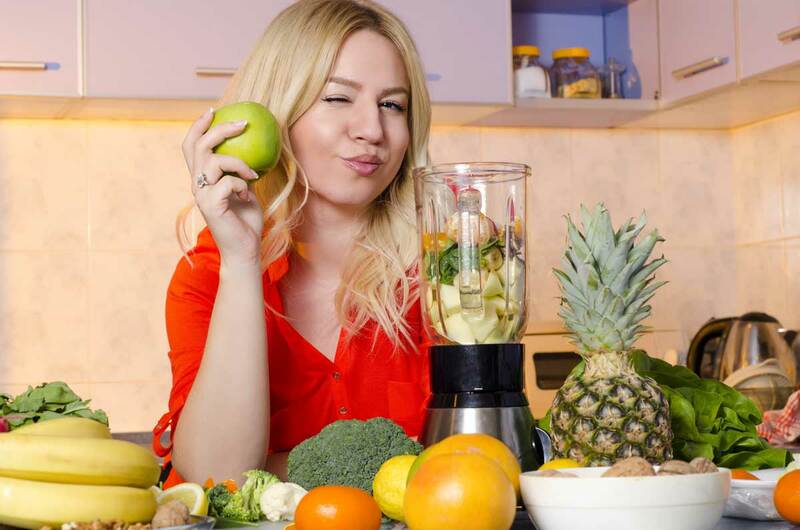 Both extractive juicing and blending are healthy practices, but if you must choose between the two, a blender is a more useful all around appliance. You can use it not only for whole foods juicing but also for a wide variety of kitchen tasks. It is wise to note that there are many good multi-purpose appliances available today. For example, Breville makes several different sizes of juice-and-blend appliances that can produce both highly nutritious freshly made extracted and whole foods juice. This and other combination appliances are very useful because you save money and counter space and enjoy more functional options when you choose a multi-function kitchen gadget. In this article, we have introduced six basic appliances that are extremely useful in the well-equipped organic kitchen. In future articles, we will explore more specifics of each of these types of appliances and provide sound advice on making the right choices for your kitchen.